There’s a popular saying that goes along the lines “you can determine a person’s character by the shoes that they are wearing. This is also probably why every woman has a closet worth of shoes – or even more. Created by the famous designer from New Zealand, Kathryn Wilson, this shoe took 50 hours to complete and a whole lot of diamonds to adorn it. The diamonds are worth millions of pounds, and each one of them was meticulously hand-added to make a beautiful pattern. Who needs Cinderella glass pumps when you have these? Did someone say diamonds again? Well, these shoes are also fit for royalty. Crafted with 1420 precious diamonds, these shoes are less shoe and more jewel. You won’t even need to accessorize with anything else because these stiletto will grab all the attention. If you’ve seen Wizard of Oz, chances are that you also noticed those delicate and beautiful red slippers that Dorothy was wearing. Adorned with ruby pieces, this model only has three pairs left in the world. One of them is displayed at the Washington museum, one was sold at an auction for $612,000, and one still remains to be sold. Old Stuart strikes again with a pair of slippers named after a timeless beauty. 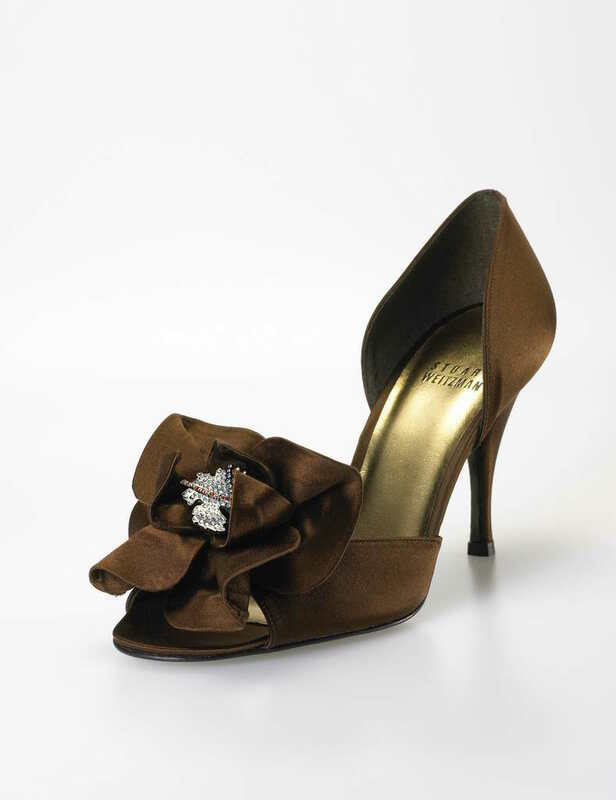 Not only did this shoe receive delicate craftsmanship, but it was also adorned with crystals that Marilyn herself used to wear. And since they were first won by Regina King at the 2005 Oscars, they sold for a lot of money when they were auctioned. These shoes are literally a jewel brought out of a fairy tale. They were created using one of the finest Italian leathers, and many precious diamonds – all set in platinum. The diamonds are also the rarest of their kind – the Amaretto diamond. Named after the legend of Hollywood, this shoe not only was made using a pair of earring that belonged to Rita herself but also pretty much every other gem you can think of: diamond, sapphire, ruby and more. If you thought the original Wizard of Oz slippers were expensive, you should see this replica. Boasting a total of 4,600 ruby pieces and 50 karat diamonds, these shoes took two months to make and are definitely the most expensive shoes in the world. Would you pay this much for just a pair of shoes?